As anticipated, a commercial Earth-imaging satellite making its way through final testing for a planned springtime launch atop an Atlas 5 rocket from California instead will enter prolonged storage after a major merger in the industry. Previous competitors GeoEye of Virginia and DigitalGlobe of Colorado operated independent fleets of sharp-eyed satellites to collect high-resolution images of the Earth’s surface. But under the merger that closed Jan. 30, the two rivals will have a combined constellation of five Earth observation satellites and a broad suite of high-value geospatial production and analytic services. 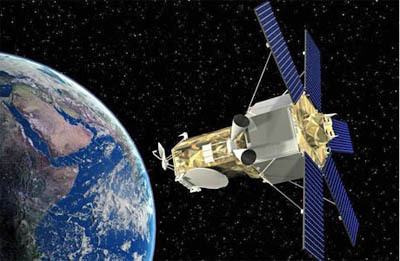 The two companies also have two state-of-the-art satellites under construction, GeoEye 2 originally slated for launching this spring and WorldView 3 following in 2014 aboard Atlas 5 rockets from Vandenberg Air Force Base, California. Under the revised plan announced Monday, the GeoEye 2 spacecraft will see its launch deferred at least a few years while WorldView 3 progresses as scheduled towards liftoff in the middle of next year to support the firm’s EnhancedView contract to supply images to the U.S. government and the National Geospatial-Intelligence Agency. Read more: Spaceflight Now | Atlas Launch Report | One commercial Earth-imager deferred in favor of another.